As the subject line says, i am looking for a nice quality set of rca cables. Somewhere between monoprice and Esoteric. The have to be suple (flexible), well sheilded and high quality connectors. I dont want anything i have to burn in . I will be using these to connect my phono preamp into my reciever.Somewhere in the $60 to $70 range would be tolerable. What are you using ??? I'm happy with the Blue Jeans Cable cables I've bought, but I don't have them making any sharp bends. They're not super-stiff, but they might not be your ideal for flexibility. I'm very happy with the RCA connectors, though. Thanks CV they do seem to be quite popular,i shall give them a go . Alternatively i could go with the following option. The Audiophile Pricetag will literally transform your cheap or giveaway interconnects into sonic marvels costing thousands of times more! 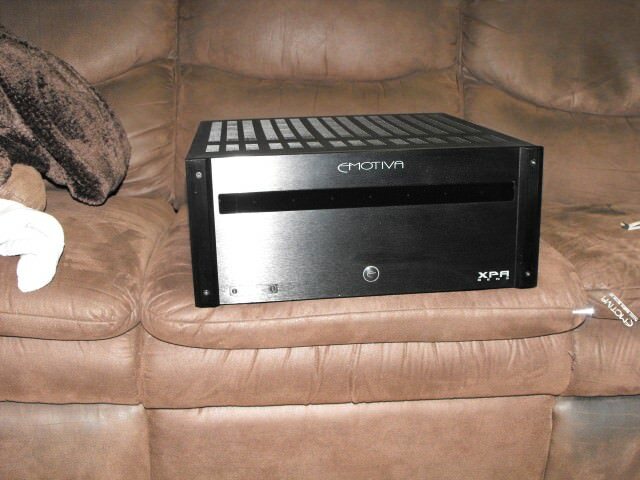 The Audiophile Pricetag is no ordinary pricetag. It's hand-crafted from the finest materials available. The heavy-gauge, 99.9999% pure cotton string utilizes a proprietary twisting method which provides a superior connection to your existing cable. The manila card stock is made custom to our specifications from virgin stands of Douglas fir from the pacific northwest and is hand cut in our factory using techniques hundreds of years old with the price hand-written by one of our many craftspersons, signed and dated on the back of the tag. Our patented hole reinforcement technology assures that your Audiophile Pricetag will last a lifetime, even under continuous use. Best of all, the Audiophile Pricetag is being offered at the special introductory price of just $29.95! Imagine getting the performance of a $5,000 cable for less than pennies on the dollar! A bit tight on cash? No problem! Kludge Research, Inc. offers zero interest, six month financing. And if you act now, we'll defer your payments until January 2003! And for the Do-It-Yourselfer, the Audiophile Pricetag is also available in kit form at the substantially reduced price of just $19.95! Each kit comes with a pre-cut tag, hole reinforcer, string and a tube of glue. The 23 page instruction manual is clearly written and includes more than a dozen illustrations walking you step-by-step from preparation to installation. I was skeptical at first. But that ended just a few measures into the first song when I realized that I'd soiled my pants! You should offer a diaper with this thing! It's THAT good! And if you don't believe me, just moments later my wife who has no interest at all in this audiophile stuff telephoned me from the neighbor's house three doors down and asked me if I'd changed something in my system! I probably have about a lot of them.. i have found them to be a good value.. Also, they are Right in your price range. Also, the RCA ends are locking RCA's, so they are secure once they are in the system. D are you using techflex outer or something else. All of my cables have the ViaBlue sleeves. They look nice. This is what i have on my RCA cables. Richard, there's no need to throw money out lavishly to get a "quality" coaxial cable. Beware of "high end" cable nonsense designed to attract the uninformed or gullible. The high quality/low price cables I've used for several years are these , which meet all the requirements that you mention. Edit: of course, If I'd been aware of the "Audiophile Pricetags" I certainly would have gone with them to make my cables true "high end"! Thanks john, i am a practical kind of guy in such matters. But i cant help think there is something better than 9.99 walmart rca cables without buying into so called golden ear bs about hearing the difference between one cable over another. i have monoprice cables running to my subs but they are just too stiff for my 2 channel cabinet. I am more about signal rejection from the mess of wires behind a typical stereo. The audio pricetags have gone out of business for some reason,shame really. It might be heresy to mention my cables - a 5 minute walk to my local 'Dollar Store' where they sell fat 'Heavy Duty' RCA Cables for about 6 bucks max. Gold(?) plated, tight fitting, noise free, flexible & sound just fine. I use them in both my HT & Audio Systems. They aren't the prettiest but they are not visible as I run them through automotive wire looms to try to keep the clutter to a minimum. Get the Belden 1505f that comes with Taversoe RCA connectors. Add the techflex option. Blue Jeans cable offer some of the best quality cables regardless of price. The Taversoe RCA connectors they use are awesome.